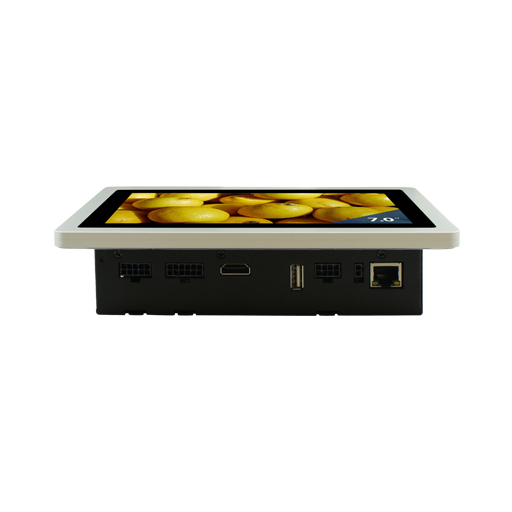 Ultra slim ARM Cortex-A9 7 inch panel PC. NXP i.MX6 solo 512MB RAM, duallite 1GB RAM and quad 2GB RAM options. 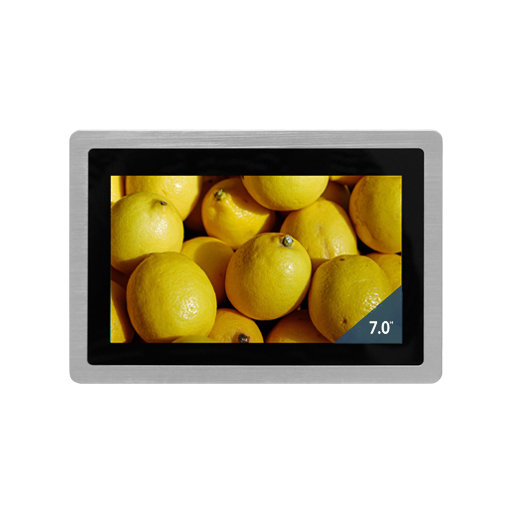 Projective Multi-touch bright (500 nits) high resolution (1024 x 600) LCD display. Galvanic isolated CAN bus and serial ports (RS-232/422/485). USB host, USB OTG, microSD cardslot, 4 GPIO's and HDMI for secondary display. PoE function 802.3at or 10-30V DC power input. Gigabit LAN with WiFi and Bluetooth options. 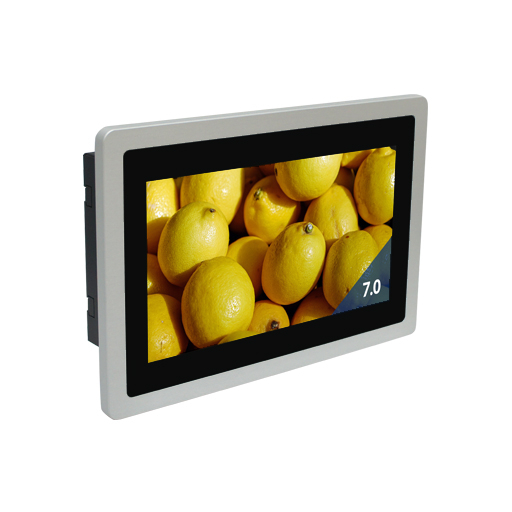 Slim form factor with industrial grade specifications, multiple expansion slots and rich I/O capability.